WuXi AppTec, a global pharmaceutical, biopharmaceutical and medical device company, recently selected SyncHR’s new automated human capital management platform to manage its human resources and payroll needs. RLJ Companies founder and Chairman Robert L. Johnson, who founded Black Entertainment Television (BET), recently applauded Sen. Tim Scott (R-SC) for introducing Senate Resolution 11, which would support the RLJ Rule to promote workplace diversity. Janet Hogan has been named vice president of human resources at Hormel Foods. Four Gen II Fund Services, LLC, employees were promoted last week to Managing Director positions within the independent New York based company. Following its merger with Distributed Systems Inc., Contegix continues to grow as two new employees joined the leadership team in St. Louis. 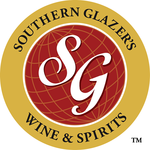 Southern Glazer’s Wine and Spirits recently named a 20-year industry veteran, Terry Arnold, to the senior vice president of human resources role. Oasis Outsourcing in West Palm Beach, Florida recently welcomed Dolores Calicchio to its team as executive vice president of human resources. Morningstar Inc. recently welcomed two new leaders -- Tricia Rothschild and Danny Dunn -- to their chief product officer position and chief revenue officer position. Fifteen years ago, Letha Kunshier was a server at Granite City Food & Brewery. Today she is the company’s vice-president of human resources. First Merchants Bank is in need of a welfare plan benefits analyst to oversee implementation, direction and regulatory compliance under the guidance of the benefits directorship, in the firm’s downtown Muncie, Indiana location. Add Dottie Donnelly Brienza, formerly vice president of global organizational performance at Bristol-Myers Squibb, recently joined Cantel Medical Corp. where she will serve on the Executive Leadership Team as senior vice president and chief human resources officer. The National Association of Business Resources recently awarded Purchasing Power LLC two national awards, citing the company’s excellence in human resources practices and employee and worksite health. Daniel DeWitt, formerly of Shields Meneley Partners, recently joined Telephone Data Systems as senior vice president of human resources. Timothy Trodden recently joined WellCare Health Plans Inc. as its new senior vice president and chief human resources officer. The Healthiest Employer Awards Program recently listed the Healthiest 100 Workplaces in America, including Transwestern, which was selected from more than 5,000 nominees. Because maintenance, repair and overhaul (MRO) labor is predicted to become scarce in the near future, Florida-based Paz Aviation recently took the initiative to offer strategies on finding and keeping qualified professionals in the field. A study from CareerBuilder, which polled more than 3,400 workers from a range of industries, found that 22 percent of workers are looking to switch jobs this year, a result in line with 2016’s 21 percent.